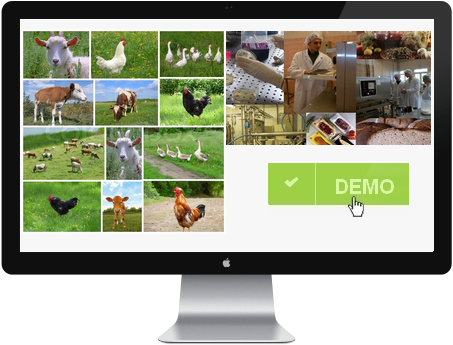 OGARIT Solutions exclusively develops Cloud based tools for industries in the animal nutrition and food. Our No. 1 priority is you, the user. We believe in the effectiveness of our products and we target the highest standards. We really care about your business as much as you do, this is why we offer the best support around our dedicated support center. In addition, all updates are free and integrate new features often requested by our users. Initially built over the Cloud (SaaS), our products have been designed with the safety, accuracy, high performance, speed and scalability in mind. The ability to provide unlimited amounts of content in real time is not possible with locally hosted solutions. 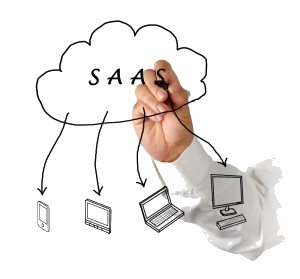 SaaS makes a significant change in the way that companies acquire and use their software. The days when you had to buy, install and perform software maintenance comes to an end. SaaS solutions offer many benefits that start from purchase. Our software are safely hosted and maintained with an ISO certified servers infrastructure. In addition to our own internal controls related to data protection and privacy, all services are architected for the highest level of security. They include technical barriers that prevent use and unauthorized access. All data is stored on geographically remote servers and access is only grant to authorized technical personnel. Our R & D team, partners and experts test and validate the accuracy of each calculation result. In addition, our tools contain routines and robots to avoid bugs and errors. The Cloud architecture of our software has been specifically designed to support significant load to allow instant results. The network of servers and load balancing routines keep the system proactive, even with thousands of connected users. The optimization formulas (Lower Cost = Best Production = Best Quality) and simulation applications require high processing power that can hardly be delivered by individual computer processors. Our servers are dynamically adjustable depending on the load of the service to provide quick results. All our packaged tools are customizable. Companies can choose the graphics and put their own brands. All our tools are marketed under white label and from the client’s website. It is even possible to develop customized features that may be available only in your network to your customers. The customization does not affect the standard features. Because of the mobility and the geographical distance between most actors, we decided to create tools that encourage communication between them. Our tools allow each company or service provider to easily create its own network and communicate with its teams, suppliers and customers, while offering innovative services. SaaS applications are easy to use. All that you need is an Internet browser to connect and get to work. Users within your company have little effort to learn and become productive from day one. Because we take care of all the technical infrastructure, it is not necessary to involve your IT service or technical resources. Our customers start with the membership and the features they have selected, the number of users they need, and we adapt the tool whenever their needs change. Why buy more than you need? All our tools work on any computer, tablet or device equipped with a browser and an Internet connection. In addition, our mobile applications could work offline also. It is absolutely not necessary to have special equipment because our applications run on all operating systems (Mac, Windows, Linux). We handle updates allowing our customers to focus on their business. After each upgrade and / or update all our clients instantly benefit from the latest version from their first connections!